Welcome to the Spring issue of our ENews. 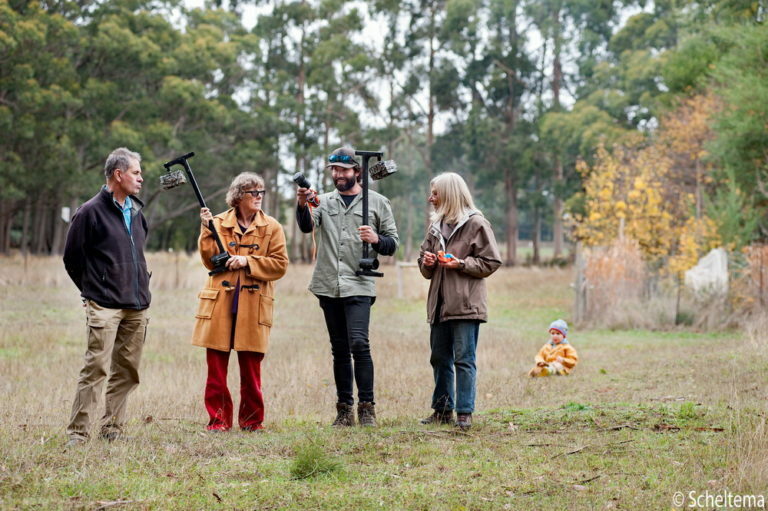 Spring is always the busiest time for our Landcare community. I hope you enjoy reading this issue, or just getting an idea of the activities in our area by looking at the photos. As a result of successful funding from a Biodiversity On Ground Action grant, the UCLN is embarking on a year long project to detect Platypus and Blackfish in the Coliban and Campaspe Rivers using cutting edge DNA technology, with the help of Citizen Scientists.The project was launched on the banks of the Campaspe River on Friday 26th October with over 130 people attending. 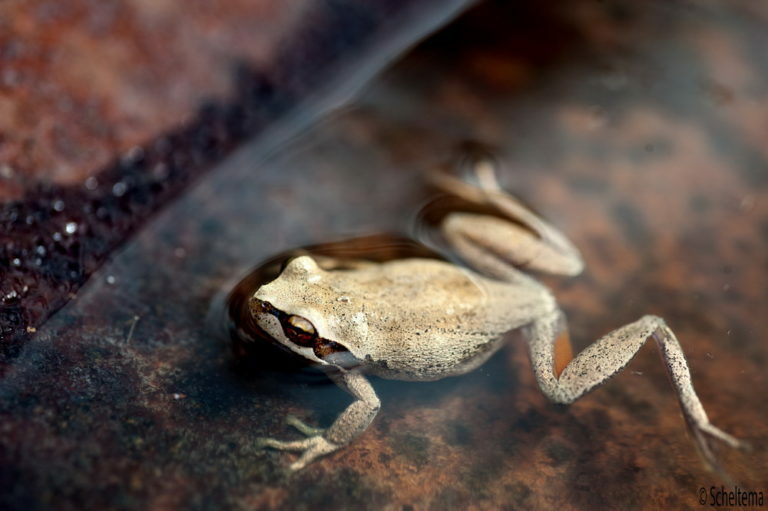 With the delightful sound of poddlebonk frogs calling from the river around them, people learned how they could contribute to the project. Representatives from Coliban Water, DEWLP, MRSC, HSC, NCCMA, Councillors, MRSC Mayor and our MP Mary-Anne Thomas all showed their support for the project by attending. We will be working with EnviroDNA’s Senior Wildlife Ecologist and platypus expert Josh Griffiths. 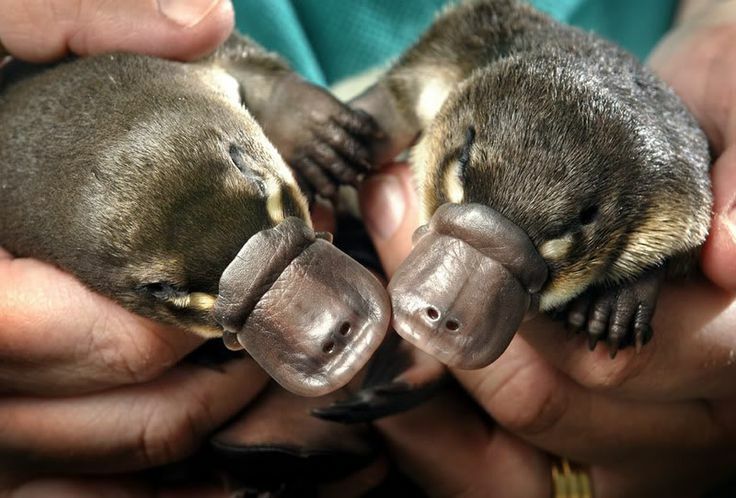 EnviroDNA pioneered the development of the eDNA technique for detecting platypus.They are the only scientists worldwide who have successfully detected platypus in the wild using this technology. They have tested over 1000 sites nationwide testing positive for hundreds. “This project will allow local citizen scientists to collect comprehensive data across the UCLN region and contribute to a national assessment of platypuses, the largest platypus survey ever undertaken.” said Josh. 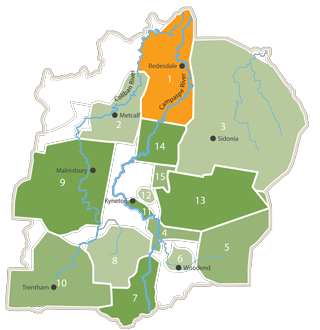 All resulting data will be logged into the Australian Biodiversity Atlas. At the end of the year long project, a planning blueprint will be produced highlighting where platypus and blackfish are living along the Coliban and Campaspe Rivers.This will be provided to land managers to assist with platypus conservation efforts. 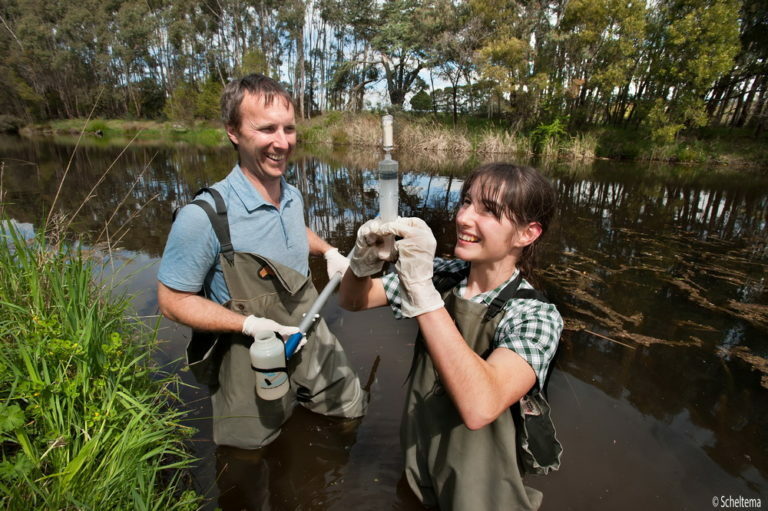 Kyneton Secondary College students, who are already working with two of our member groups -the CRLMG and FOBH, will be involved in the water sampling, as well as two Primary Schools. I am very pleased to announce that the UCLN was the winner of the 2018 Victorian Regional Achievement and Community Awards.We won the Parks Victoria Environmental Sustainability Award.This is great recognition for our 900 volunteers who work tirelessly to protect our beautiful part of the world.Well done everyone! Click here Video of awards.to see a video of the award being announced on the night. 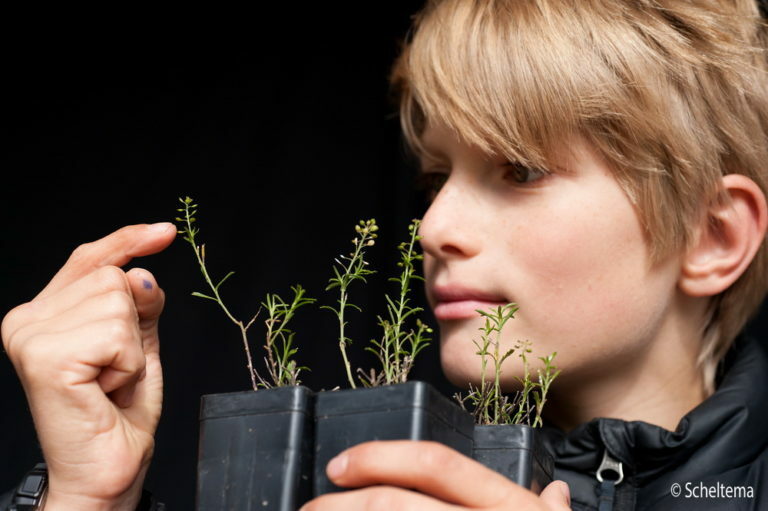 A Trentham Primary School Student with the nationally endangered Basalt Peppercress plant. 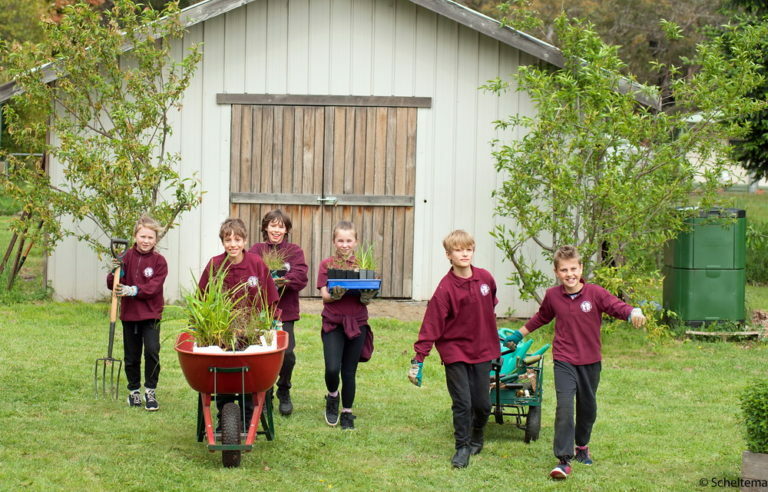 Fifty excited enthusiastic students at Trentham Primary school helped plant, fence, tag and monitor 32 nationally endangered Basalt Peppercress (Lepidium hyssopifolium) plants in a new native garden at the school. Known as the Rock and Roll stars of the plant kingdom, because they are short lived and party hard, the plants can be difficult to grow. The students will be taking stewardship of these special plants to be part of state-wide efforts to prevent them from becoming extinct. There are thought to be only about 500 Basalt Peppercress plants left in Victoria. Trentham Landcare member Gael Elliott found one growing on the steps of the old lolly shop on the main street of Trentham, and seeds were propagated from that plant. 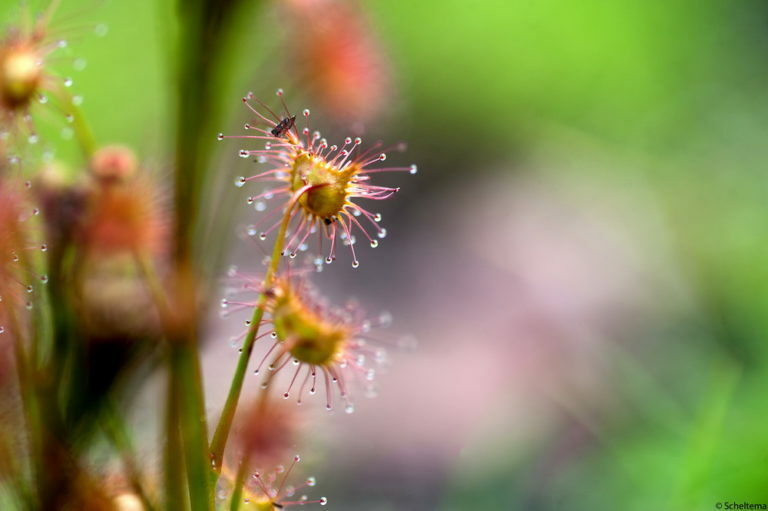 Trentham District Primary School, in conjunction with Friends of Trentham Creeks and Reserves, Upper Campaspe Landcare Network and the Department of Environment, Land, Water and Planning will be growing the plants at the school to try and increase their population. 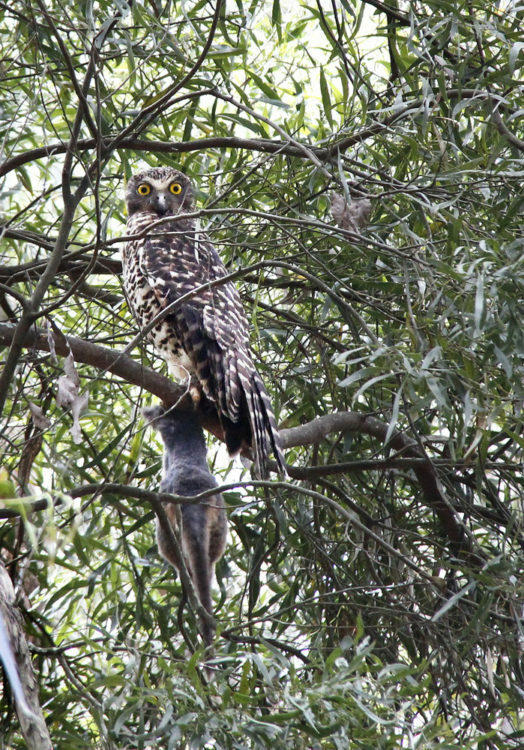 A Powerful Owl holding its prey of possum.Pic Gayle Osborne. If your groups would like DL brochures on the three species for members please contact me and I can provide them to you. As a result of another successful grant application from the Macedon Ranges Shire Council we have now added five more remote sensing cameras to our collection.If your group or members are interested in having our threatened species officer Brad Blake set up the cameras on your patch, please contact him on brad@proconpest.com or 0421823998. We hope to train interested groups in the use of the cameras so they can be rotated amongst our member groups in the future. The UCLN was thrilled to be invited to talk about their Citizen Science Projects –Spotlight on Species and The Platypus Project to Dja Dja Wurrung Youth as part of the Aboriginal Youth Culture Strengthening Program.The on country field trips, run by Bendigo Tafe in partnership with Dja Dja Wurrung elders and Parks Victoria, were conducted at culturally significant sites (such as Trentham Falls) and community legacy projects to teach the students about traditional knowledge, cultural leadership and conservation and land management skills. The students learnt about the three focal endangered species that are part of the Spotlight on Species Project -Powerful Owls, Phasocgales and Greater Gliders, their habitat requirements, threats and actions that can be undertaken to protect them. They also learnt about the work being undertaken by the Network in conjunction with scientists to conduct DNA testing for platypus along the Coliban and Campaspe Rivers. 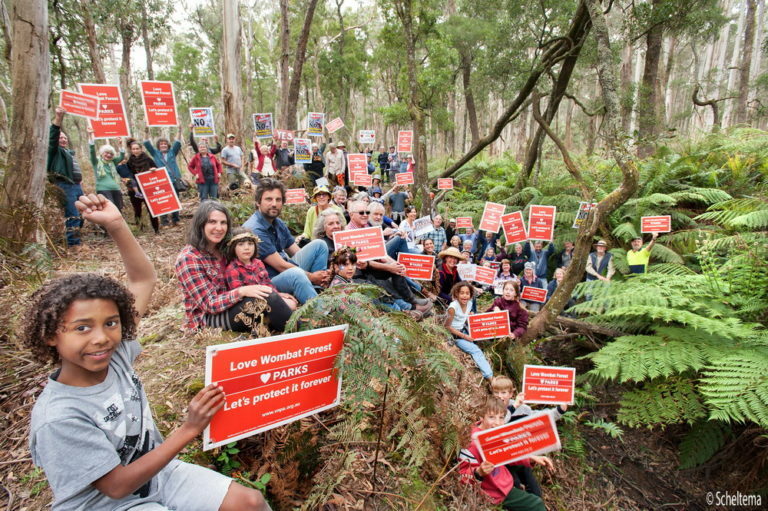 Many of you will remember UCLN wrote a submission to the VEAC Central West investigation recommending that the Wombat and Cobaw State Forests be reclassified as State Parks to protect the high conservation values within them. 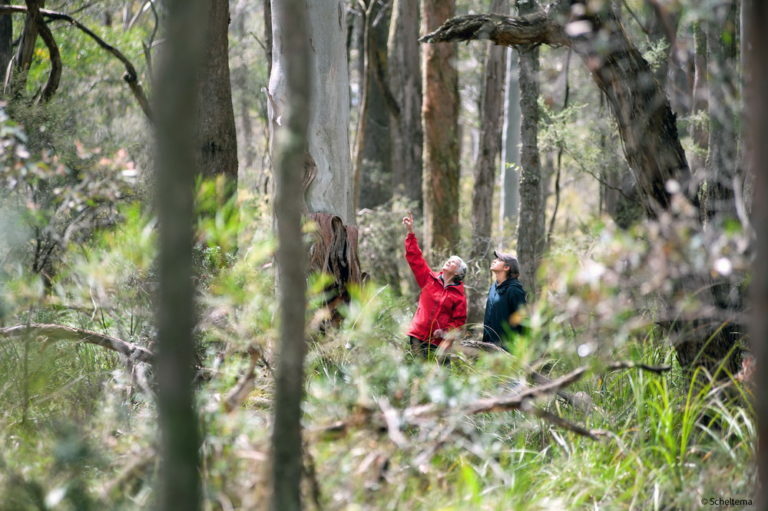 The investigation includes the Wombat and Cobaw State Forests and recommends that the Wombat State Forest be reclassifies as a combination of regional, national and conservation parks. The Cobaw State Forest is recommended to become a conservation park. 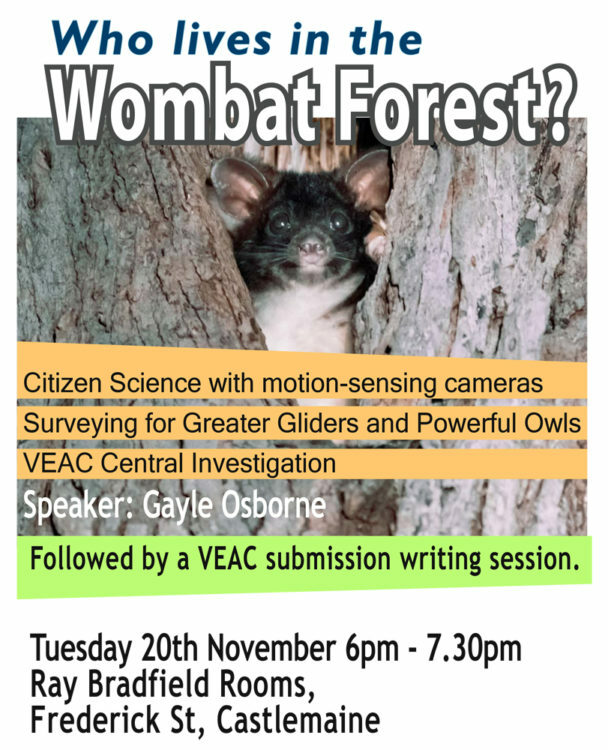 In 2017 , Vic Forests intended to recommence saw log harvesting in the Wombat Forest.This is on hold until the VEAC inquiry is completed, but without the protection of a park structure, the Wombat will again be logged potentially threatening the many endangered species within. The draft report is open for public comment until 10th December, with final recommendations due in March 2019. You can make a submission here: http://www.veac.vic.gov.au/submit . If you are interested in making a submission and need help you may like to attend the workshop below. 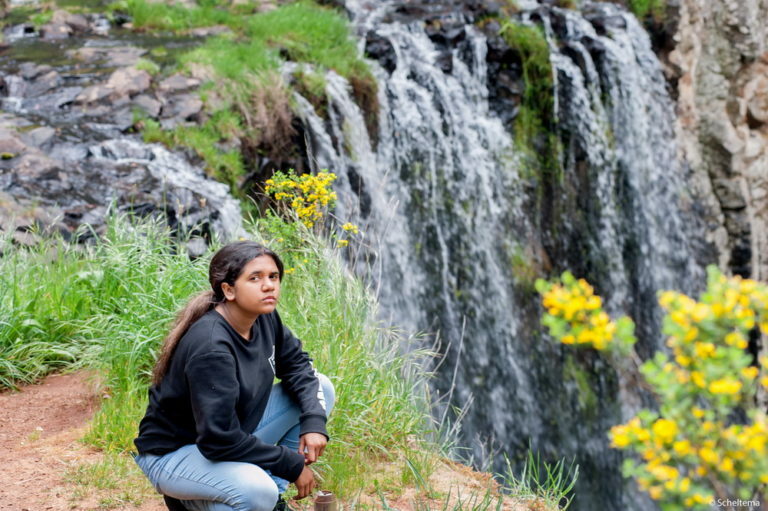 Cass Davis who runs the WaterWatch program will be speaking on the night. 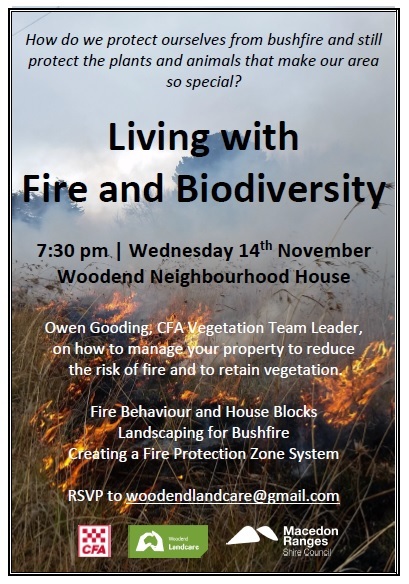 Please RSVP to Hanne secretary@uppercampaspelandcare.org.au by close of business Monday, 19 November. Members are invited to submit nominations for Office Bearers and Ordinary Committee Members of the Association for the forthcoming term. Nominations must be for a specific office or for a position of ordinary committee member. At the meeting, the Chairperson will call for nominations prior to the election for each position. Eligible members may nominate themselves or, with the member’s consent, be nominated by another member. Nominations may be submitted in writing and must reach the Secretary prior to the commencement of the meeting. Each nomination must include the consent of the nominee to stand for election to office. Please note that an Authorised Representative may be any member from their Member Group as long as their membership is current. They do not have to be one of their Group’s Committee Office Bearers or Ordinary Committee members. ARTICLE BY CENTRAL VICTORIA BIOLINKS ALLIANCE RE ANIMALS AT RISK OF EXTINCTION IN CENTRAL VICTORIA . You may wish to read this interesting article in the Bendigo paper re animals at risk of extinction in Central Victoria. 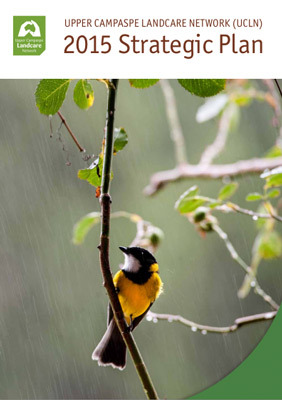 The strategy includes an action plan with 13 strategic focus areas and 31 actions intended to provide on ground protection and enhancement of biodiversity, support well informed decision making, increase community awareness and support partnerships to improve biodiversity for future generations. Mount Alexander Shire Council has recently received funding for roadside weeds. 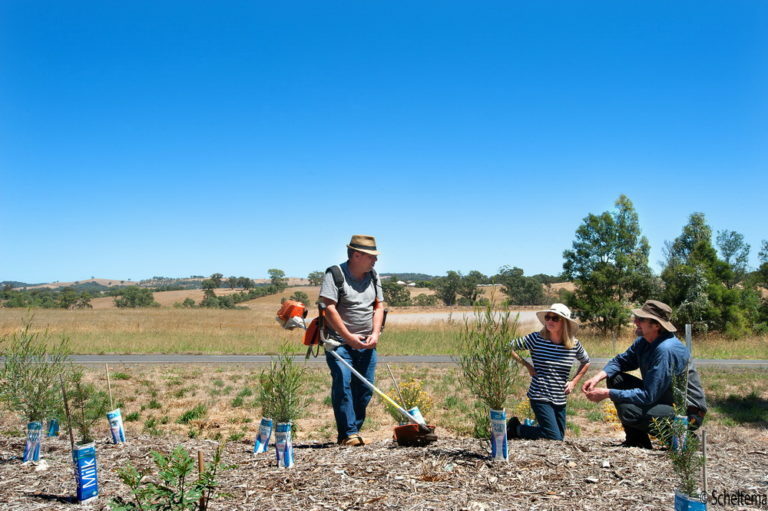 If your group would like to apply for funding to manage roadside weeds in your area, please contact Jarrod at j.coote@mountalexander.vic.gov.au. or 5471 1806 Applications are due by 30 November 2018. 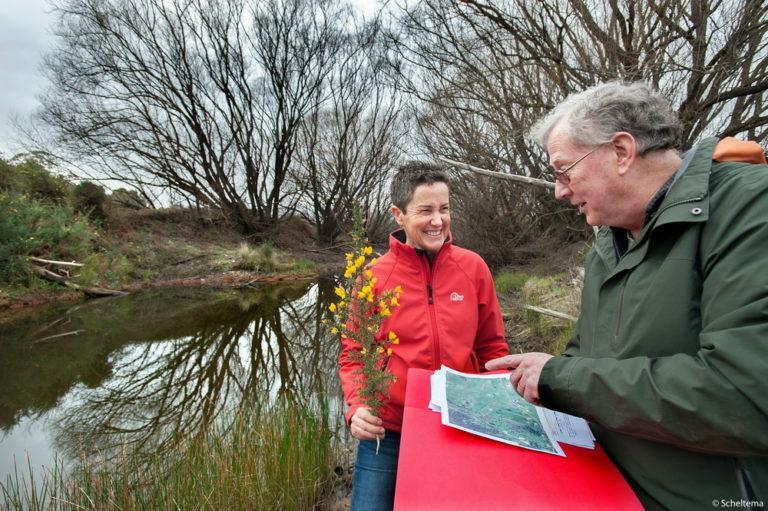 On Sunday 14 October, the Hon Lily D’Ambrosio, Minister for Energy, Environment, and Climate Change launched the Victorians Volunteering for Nature: Environmental Volunteering Plan. 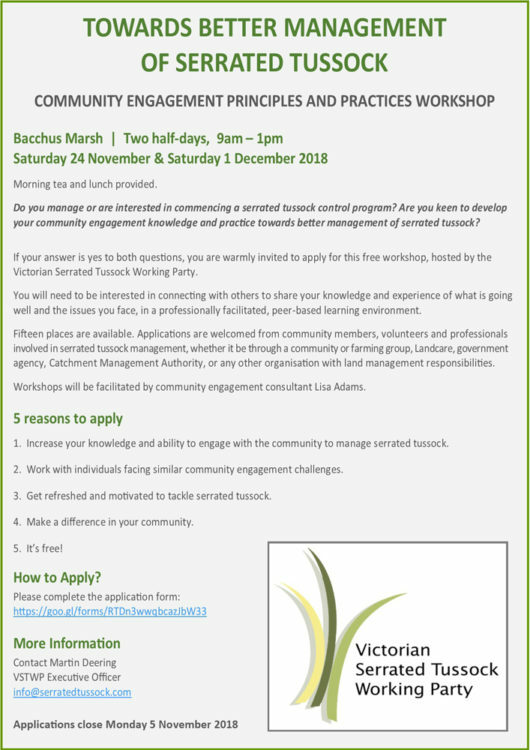 COMMUNITY ENGAGEMENT PRINCIPLES AND PRACTICES WORKSHOP.